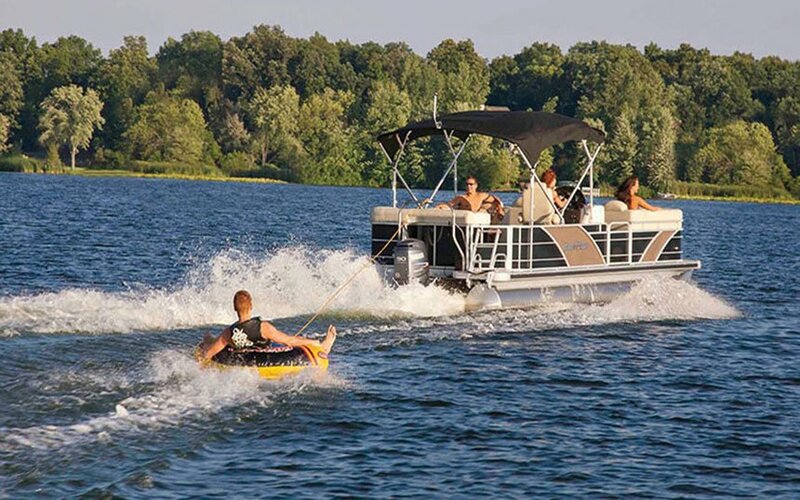 Tube behind pontoon boats, ride three-passenger jet skis with brakes and 55-mph Cobalt speed boats. We offer tubes, wakeboards, kneeboards and skis. Our waterfront map gets you to beaches, parks, restaurants, bars, fishing holes, islands and lighthouses.